With a record 117 exhibitors in attendance, the Partner Pavilion is the place to meet SOLIDWORKS Solution Partners, preview new technologies, and get your hands on innovative products designed in SOLIDWORKS by your peers. Whether you’re looking for state-of-the-art design, analysis, or manufacturing products, SOLIDWORKS partners have the perfect solutions to fit your needs. In our final Partner Preview, you’ll get an intro to three more companies who can help solve your unique challenges. The latest with AMD and SOLIDWORKS will be on display at SOLIDWORKS World 2017 (Booth #501) where you will be able to join the ultimate VR, VDI, and cloud experiences. The entire Radeon™ Pro WX workstation family line-up will be displayed this year to show how graphic cards have evolved and how AMD brings forth an immersive computing experience for design engineers tackling complex design problems. The new Radeon Pro WX series GPUs are optimized for open-source software, undergo extensive independent software vendor (ISV) application and workstation certification testing, and support advances that deliver the highest levels of performance. Based on AMD’s new Polaris architecture designed specifically for speed and energy efficiency, the Radeon Pro GPUs employ the latest advances in AMD’s 4th generation Graphics Core Next architecture, including 4K video decode and encode support, next-generation display capabilities and support for open-source software through GPUOpen. AMD has worked closely with SOLIDWORKS to support their features such as RealView® Graphics real-time shading and self-shadowing functions as well as the transparency mode used in Mate, a SOLIDWORKS feature for joining parts in an assembly and simulating how they fit and move together. On top of the new Radeon Pro GPU line, look forward to AMD’s latest Radeon ProRender plug-in for SOLIDWORKS, a state-of-the-art, physically based ray trace rendering engine, enabling interactive workflows to produce photorealistic images on heterogeneous computing systems. With its support of the industry-standard OpenCL™ API, ProRender can run on virtually any GPU hardware, giving design engineers choices in optimizing a workstation to meet their needs. number of innovative features not available elsewhere to deliver significantly higher performance in both programming and machining. The CAM solutions of OPEN MIND fulfill the highest requirements of the automotive, tool, mold manufacturing, production machining, medical, job shop, energy, and aerospace industries. hyperMILL® for SOLIDWORKS is a certified Gold Product. 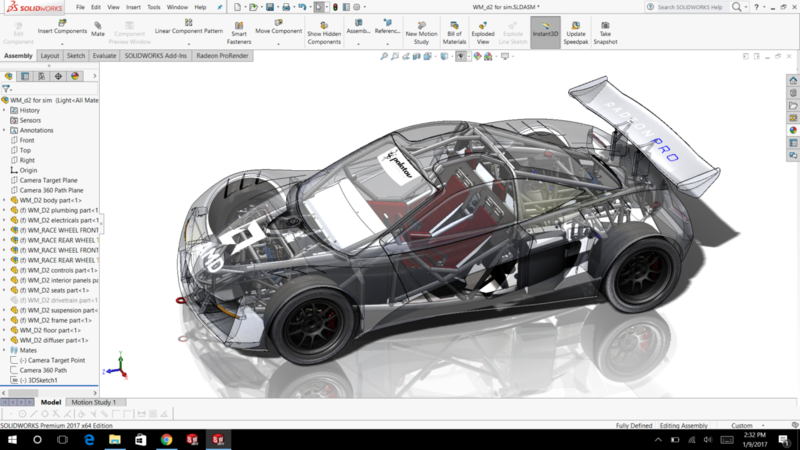 This confirms the perfect integration, quality and interoperability of hyperMILL and SOLIDWORKS. Data associativity allows the two programs to work together seamlessly and enables continuous workflows from design right through to CNC manufacturing. Users can progress from the design phase to the optimal machining strategy for their product directly from their familiar user interface. 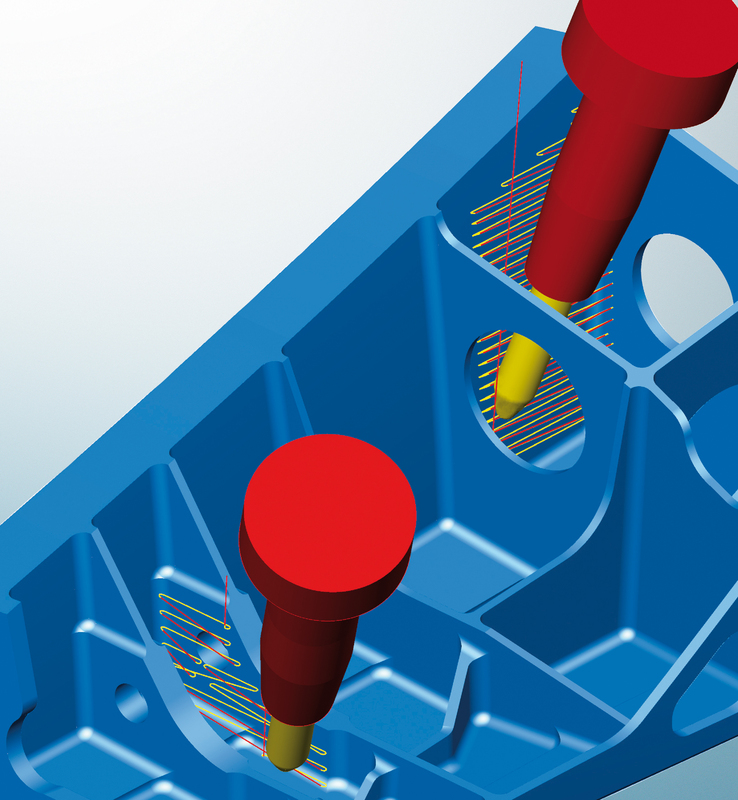 Thanks to the full associativity of the data in hyperMILL® with SOLIDWORKS design data, CAM operations are automatically updated if changes are made to the CAD model. Access to a shared database and the ability to start hyperMILL within the CAD user interface increase efficiency and shorten processing times. At SOLIDWORKS World, OPEN MIND is presenting its new release hyperMILL 2017.1. Users now benefit from many new 2.5D, 3D, mill-turn and HPC functions and optimization tools that make programming faster while reducing auxiliary processing times when carrying out machining jobs. The hyperMILL MAXX Machining performance package offers three powerful modules that help companies realize significant optimization potential in roughing, finishing and drilling applications. Users benefits from the time savings up to 90 percent, which can be achieved with 5-axis tangent plane machining. With the new version hyperMILL 2017.1, the roughing module has been enhanced: the spindle speed can be adjusted in the plunge macro for roughing. Modifying the spindle speed and specifying a dwell time for the speed change ensure more tool-friendly machining. This option also increases process reliability. KBMax is revolutionizing the Configure Price Quote (CPQ) & E-Commerce market with its fast, responsive, interactive 3D user interface. Sales users can interact with configured products on any device for increased buying experience, eliminating quoting and configuration errors. 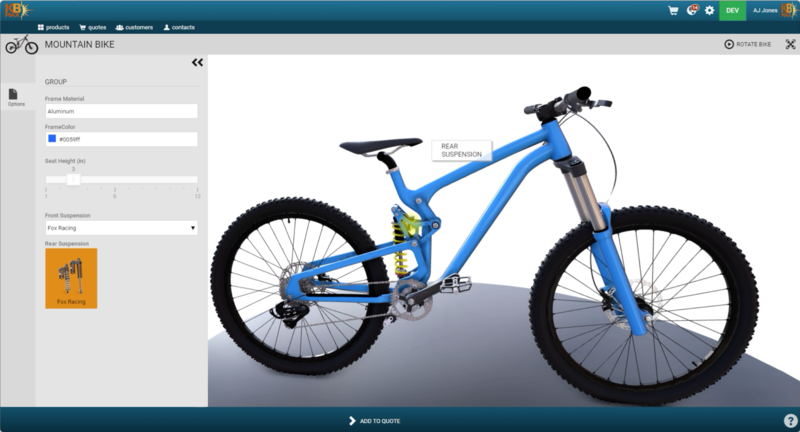 KBMax 3D CPQ cloud-based enterprise software can manage simple and complex products, and can be quickly implemented. Its industry-leading services and support accelerate your time to market. KBMax works as a virtual engineer that dynamically generates CAD models and drawings in minutes. Out-of-the-box integrations with CRM, ERP and CAD systems, such as SOLIDWORKS, combine to create a seamless, very powerful end-to-end CPQ & E-Commerce solution. Carbon is a Silicon Valley-based company that’s reinventing manufacturing through breakthrough advancements in 3D printing technology. The new 3D printing technology its developed uniquely balances light and oxygen to turn liquid resin into dependable, durable, quality parts that are fit for real-world manufacturing use, and the company’s partners are already putting its technology to the test in active production and demanding real-world applications. 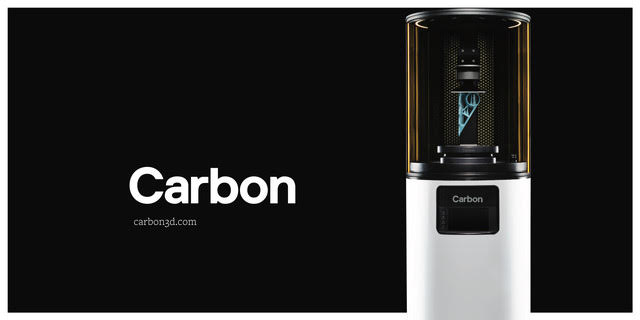 Carbon launched on the stage at TED in 2015 with CLIP (Continuous Liquid Interface Production), its proprietary 3D printing technology. In April 2016, Carbon launched our connected, programmable, M1 printer, delivering design freedom and innovation. Additionally, the company introduced a wide range of engineering grade materials designed specifically for the M1, giving our partners a competitive advantage in production. Carbon recently announced the addition of three new engineering resins to the CLIP platform: EPX 81, CE 221, and UMA 90. Carbon is dedicated to giving creators, designers, and engineers the ability to create rapid iterations on their designs, and bring their products into production. Carbon’s CLIP technology allows you to utilize designs that before were simply impossible through traditional manufacturing, allowing SOLIDWORKS users to focus less on printing and more on crafting the next great product. Come visit Carbon’s booth #1017 at SOLIDWORKS World 2017 to learn more about our M1 printer, our library of resins, and how you can use Carbon’s CLIP technology to produce end-use parts.